Parents! You are in for a treat. 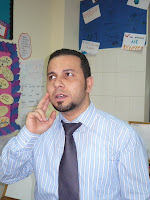 Our team ran the bake sale, earning 1.630 LE for charity. We were really proud of our good efforts! I felt sad when I saw a grave for a seventeen year old who had died at El Alamein. He must have been so principled, going to fight for his country. We had a quiz on the second day. We had loads of fun although we had to have two girls and two boys in a group! At the start we got to choose out team name. We called ours D.E.E.T which stands for…. Darsh, Emma, Elodie and Tom. We had lots of questions and they were SUPER HARD! They were all about what we saw in the museum we went to. And guess what happened at the end? GUESS! GUESS! D.E.E.T won the test so we won some sweets! I was a risk taker because if we didn't know the answer to questions we had a guess anyway. 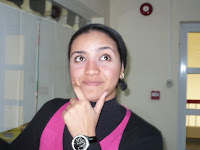 When I went to Al Alamein, I used many learner profiles, one of which was being a Risk-taker. I established this learner profile when I played "Raid the flag." I risked invading the other teams sector to find the flag. At first, I felt scared as if I was going to be caught. but I grew more and more confident and finally I invaded the other teams area. I was also knowledgeable when I contributed to the bus quiz. One of the finest things was when we played Raid the flag. There were two teams, boys against girls. The aim of the game was to try and capture the other team’s flag. Each person had one card like king, queen, jack, two etc. If someone caught a person they would show there card. If their card was higher than yours, than you would take their card. If your card was lower than theirs, you would give them your card. If both cards were the same, you would leave each other alone. I was a communicator sharing answers in the quizzes as well as the technology quiz, working together with my group and planning together. We had to package our egg carefully (that was the 'pretend' medicine being dropped down to an injured person that fell down a cliff face.) We made a parachute and attached the wrapped egg then we tested it by dropping it from 5 metres. Guess what! The result was perfect - we won - the only group to do so! All of year six played a game called 'steal the keys.' You had to choose a person to sit on top of a chair, and blind fold that person that same person. With a torch in their hand, they had to point it at the person who was stealing the keys which would jingle a lot are placed under the chair. One person has to sneak up and catch them before they return to their spot. El Alamein was so enjoyable; it would be marvelous to go back one day again. Going to El Alamein was fun but the and saddest part was seeing all three different memorials .The Italian memorial was so different to the other memorials. It had the soldiers buried in marble walls and it was very sad seeing all of these brave people give up their lives for us. GOD BLESS THEM!!!!!!!!! Playing sports and games I found myself using lots of the learner profiles; answering quiz questions, and caring when my friend was hurt. I was also a risk taker, going into the cold outdoor pool! 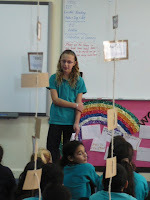 You can't imagine how much fun we had at El Alamein, especially when we were having a technology challenge to protect our egg in a safe enclosure so it wouldn’t break when we dropped it from a high place. A few of the groups broke their eggs before even dropping it. Over all we all won but not all of us got a prize. 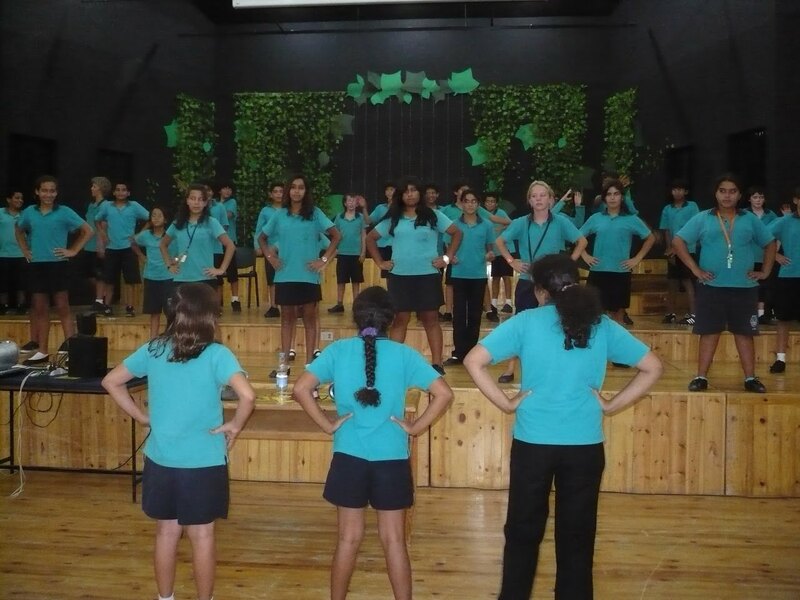 This proves that the Alamein trip wasn’t only learning, it was really FUN!!! The Alamein trip was a remarkable one, and if I had the choice, I would definitely go back there again. I was reflective because every day in bed I would think about what I did that day, how I did it, how much I had learned from it, what I learned and of course how much fun I had. I would create a sort of time line in my head. On the second day we went to the German memorial on the beach. It was half inside half outside. When we got in the memorial there was a piece of art made with mosaic and on either side was a way to go out, in the middle was a pillar memorial. All around the pillar memorial were the grave stones which are shared between loads of people and behind was a sort of frame were we saw all names and ages from the grave stone lying in front of them. I felt sad for the young men who died for their country. I was good at communicating in all my groups - room mates and activities group. I was open minded and a thinker as I reflected on the poor people who had to give up their lives for us. El Alamein was great, everybody enjoyed it! One of the trips highlight was the museum it was fantastic yeah! All the boys loved the tanks and the guns mg’s, handguns, rifles and submachine guns - all the boys’ toys! We first learnt about the desert war and the fierce fighting. Montgomery was up against the best German general ever - Erwin Rommel! The faceoff had started the second biggest tank battle ever was underway. The British used bombardment. Rommel used cunning with his elite panzer brigades. Rommel was up against the desert rats using brains over strength! Then we were on the road again! On our way to new sights, it was action packed I tell you. 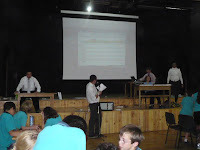 I was knowledgeable when I won the quiz on the bus as well as Mr Jo's quiz which was even harder. I was a risktaker when I went in the swimming pool when noone else was in it but me - it was freezing! I was a communicator and knowledgeable when I shared what I knew about WW2 with my bus group for the quiz. 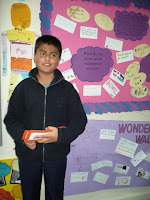 I also listened to another boys ideas about the war so I was open minded sharing my ideas and listening to others ideas. Our last day in El Alamein began with breakfast at 8 clock followed by some morning activities. 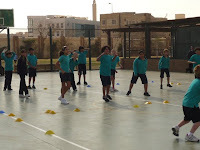 There were 3 activities and every child had to rotate every half an hour. The teachers sorted us out in groups. 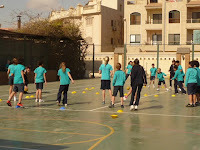 The activities were: building sand-castles, playing football on the sand and walking on the rocks. My favourite one was playing football. I also enjoyed making sand-castles and walking on the rocks. After doing all the activities we went to our room and were given a certain time to put our luggage in the lobby and meet in the meeting room. In the meeting room Mr. Cavanagh was collecting towel cards, almost everyone had their towel cards. Then we went to the lobby where we took fifteen minutes to check out, and then we sat on our buses and left the hotel. Overall I think ElAlamein was an enjoyable site for so many reasons and I wish to go there again. 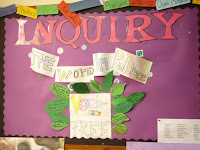 I asked lots of questions throughout our trip and showed lots of interest so I was an inquirer. We played a game where I had to take risks stepping on a mine. 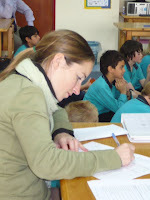 In our camp booklet I was knowlegeable as I thought and reflected on my learning. There was lots of thinking going on as I worked with my group to make a parachute to drop medicine (an egg) from a 5 metre drop. The commonwealth memorial was the most interesting for me because I reflected on the gravestone inscriptions. One was: 'Goodnight Daddy' and I found that very touching. We made rubbings over the inscriptions which turned out really well, rubbings remind me of the sad messages and insignia, name and age of the soldier as I look at them back at school. The visit to the cemetery relates to our topic about ways of dealing with conflict because it shows us how people suffered and died in war with a massive effect on so many people - its the best way to show how important peace is. I was open minded because I reflected on the different religions and many cultures represented in the cemeteries. On the second day of the trip we woke up, had breakfast, hopped on the bus and off we went to the common wealth cemetery wow what a long trip!!! When I first stepped in that amazing place I was stunned of the number of graves which were countless!!! I was passing by most of them and read most of the notes that were written on the graves and there was one which really affected me which said 'resting where no shadows fall, love remembered by us all, good night daddy.' The youngest age I found was 17 years old. I reflect on and give thanks to all of the people that fought just for their countries and suffered most of their life for us. When we left the school, it was a long journey in the bus. It took about 3 hours to get to the stop. We stopped at a place called “Masters”. It was so cool. There was a zoo, and the first thing you see when you pass the front gate are monkeys (it was outdoors). Also there is a play ground so after a small snack we went and played. It was like a rest from boredom. When we went back in the bus, I was so bored from the stop, all the way to the hotel but it was worth it. When we arrived at the hotel, it was BEAUTIFUL! There was a huge garden and upstairs in the room, there was a marvelous view of the ocean and the shore, I thought I was dreaming! I was really glad we were going to El Alamein and then I knew it was going to be a splendid stay. 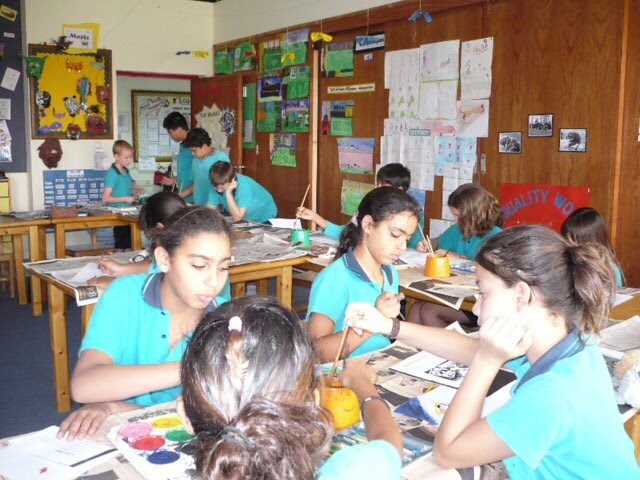 Countdown to El Alamein - only four more sleeps to go! This week we have been busy studying the news - we have a few items up however would love some more! Here is a great link to news written for you. We will have a quiz about the latest newsitems (from the site) on Sunday. We have had an up and down beginning with some of us stranded on holidays but at last we are all together again. Have a look through this site and report back to the class anything that you find interesting, especially about El Alamein. Maths Week Projects - a great achievement team! We were wide eyed right from the beginning of the maths race. What a challenge....what pressure! It was pretty intense. In groups we had a runner, checker, reader and writer. Each group worked as a team. The runner had to run up grab a maths problem solving question, run back answer the question and give the answer to the judge. It was a nail biting time as we waited to find if the answer was right or wrong. We were exercising communication, risk taking, knowledgeable and caring individuals working together. Some of us found it a bit tough when we weren't in winning teams though, that's competition for you! However six of us were on winning teams. Mr Cavanagh was a great MC and Mr Lowe was the score keeper. Ms Wolbers was the marshal. Overall we all felt winners and thanks to the teachers for organising such a special event. Maths Week has shown that maths can be totally enjoyable more than what we thought it was. Maths is technology, science, our history and our future. 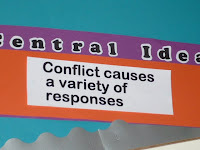 How have we been using these in our classroom this month? 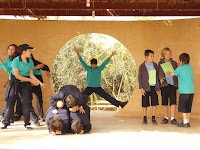 In these photos we were taking what we knew and trying out the learning by acting out the food chain.We all use the learner attributes - Mr Hani and Miss Sumah use them too. They are reflecting. Risk-taker: we have been taking risks and if we made a mistake, we learned from them. 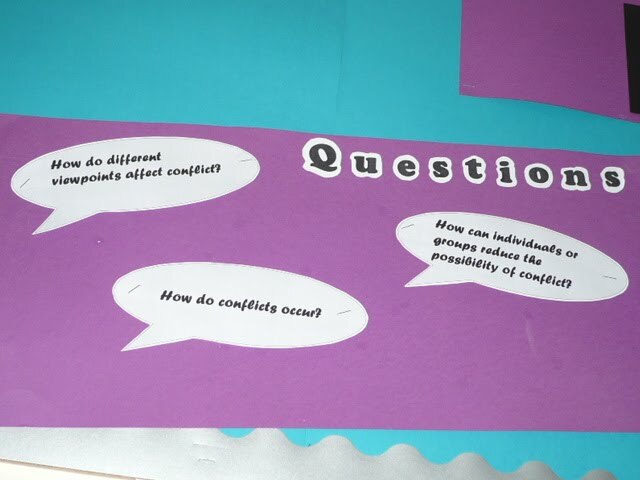 Ms Wolbers encourages us to speak out when we don't know so we can work together to make understanding. We see this happening lots in problem solving for maths. Communicators: a communicator is someone who shares ideas. 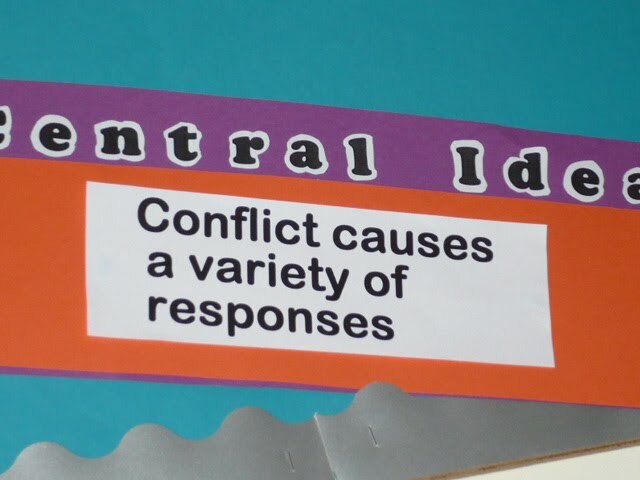 We use this in almost all subjects to discuss and find out what other people think then how that fits with what we think. Knowledgeable: when we go back and use ideas that we’ve already got. We think we used 'being knowledgeable' a lot in English/literacy when we were working on persuasive writing and speech making. 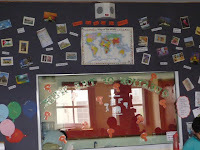 Open-minded: we have been connecting lots of ideas to come up with something new for example taking what we knew about food chains and making a model for art, same with making an enclosure - using our research ideas. 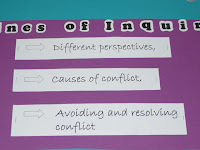 Inquirer: we have been inquirers in Inquiry. This means we have been asking lots of questions and trying to find answers. 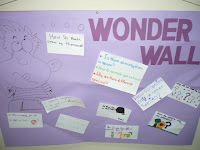 Thinkers: we have been thinkers about our thinking! What was difficult? What was a strength? What have we improved on? What have we learned? 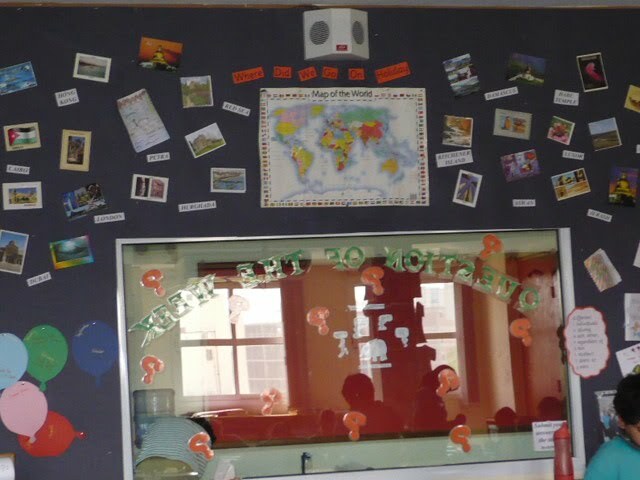 We all reflected on our learning this month asking those questions as we completed peices of work. Sometimes we asked those questions during the study as well. By : Lama, Elodie and Emma. This month we have learning about persuasive speeches and writing. 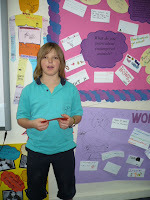 We have written and given persuasive speeches about famous people as well as giving a speech of our own topic choice. It has been quite a lot of work! In a persuasive speech, you need to have a clear voice, expressions, rapport; eye contact and you have to be confident. First you need to pick a topic. Second, write points for & against. Choose 6 topics and put them in logical order. Add details using real life examples, facts, strategies and quotes from famous people. 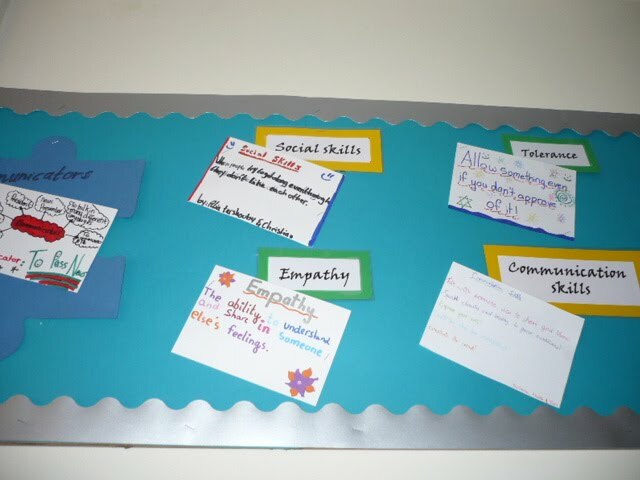 Write the speech into an essay including introduction and conclusion, and then make cue cards. These things all need to be included for a successful persuasive speech. We needed to remember all of those features saying speeches to the class. We were all hoping to be one of the lucky three chosen for the speech competition last Thursday when our lucky parents got to see us in action! 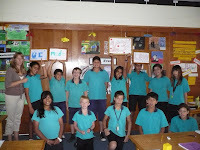 You can see the students who got chosen from their photos and Katelyn come third overall- congratulations! 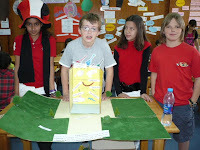 By: Katelyn, Osama and Daniel. In Art we made a food chain. 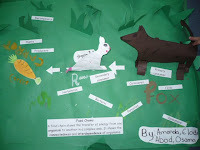 A food chain is made up of consumers, producers, herbivores, carnivores, decomposers and omnivores. It shows us what is at the top of the food chain and the bottom. A consumer is something that eats everything. A producer is a plant that provides its own food through photosynthesis. A herbivore eats plants only. A carnivore eats meat only and an omnivore eats anything. • First split into equal teams. • Then set up a square and split it into half for both teams. • Then get four balls, two for each side. • There is an e-zone at each two ends of the court where you go if you get touched or someone catches your ball before a bounce. .....I really liked dodge ball because it was fun although we lost, but it didn't really matter because it’s just a game. .....When I was playing dodge ball, I felt energetic. ...At the start, I felt scared, but when we started it was fun. ......I was dodging around trying to shoot the ball on the other team players while dodging the ball myself. •Are they group-living or solitary? •Are they sedentary animals or very active? •Is the enclosure interesting – do the animals need toys to play with? •Can you mix them with other animals? •Need to feed the animals the correct food and provide them with fresh water without the animals escaping. Naturalistic enclosures are more pleasing to the public and may be better educationally to illustrate the correct habitat. First we all went to Mr Cavanagh’s class to watch a video about biodiversity. 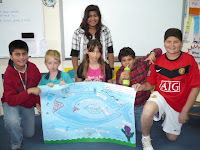 This showed us what biodiversity means and what will happen if species become extinct. If one species becomes extinct then the tower of all the different species will become unstable and the tower will collapse. Team Brainiacs believe that we need to take care of our planet! 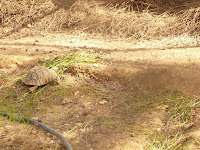 We had a surprise when we met Mr George the Egyptian tortoise. There are no Egyptian tortoises left in the world in the wild. Sad isn’t it. He is the smallest tortoise at 10-15 cm long however he is related to the giant tortoise. They feed on grass and were found in the desert. They can live to over 50 years. Watching Bill Nye the science man gave us the idea that even if we one mistake like throwing rubbish into our waterways it will lead the planets demise on the other hand if a tree (for example) dies, it can lead to new life as new species grow on it. So there is hope. Going outdoors for a species hunt - to consider habitats for living things was fun! We came across quite a wide range of bugs and animals in all sorts of places. Another experience to show us that everything is interdependent. Take out one piece of the puzzle of the world and it all falls down. •Now it was getting more into the stage where we needed to develop our learning in our own way. So we worked hard to find out about an endangered animal of our own choice. We researched and made multi media presentations. •It was interesting to see the way we individually perceived what the world out of balance would look like in an art study. •The next stage was for us to make an endangered animal enclosure incorporating all the features we might need to think about to increase their numbers for better survival. We are looking forward to presenting them to our parents! 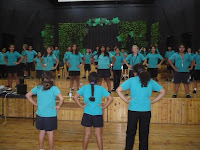 We had a great time when we went to WESC, especially as we participated in lots of interesting different activities. 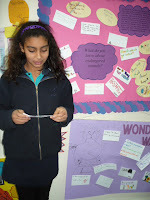 In the first station we talked about how plants and animals adapt to their environment. Second station: to make a food chain showing how animals must eat other animals in order to survive. The third station: to put a fish in a jar but we realized that on its on it would have died, but the jar with a fish, a snail and a plant stayed alive because it could breath. Also the leader at WESC showed us what the sharp parts on a cactus are for (adaptation) and how they make their own food by water and sunlight. All in all it was a well worthwhile trip with loads of fun learning opportunities.